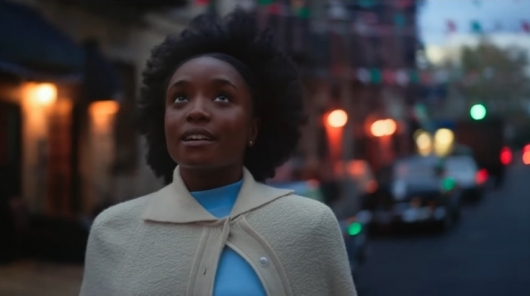 If Beale Street Could Talk is Barry Jenkins‘ latest directorial effort following the Academy Award-winning Moonlight. While the film will be released in December, it has already made the festival rounds at TIFF. And many see that the film could earn some big nominations. Now, there is one last trailer to remind you that the film is coming. Check it out, below. Critics hail Jenkins’ work as groundbreaking and have called it a beautiful adaptation of James Baldwin‘s novel of the same name. Though I haven’t seen it yet, I was completely floored by Moonlight, and I have hopes that I will feel the same when watching If Beale Street Could Talk. Certainly, other trailers we’ve seen speak to that. With this final trailer, I feel that it will live up to the hype. Of course, I could be setting my expectations up too high. But I firmly believe that this could be the film of the year. That synopsis is such a beautiful description of a relationship having to endure the hardships of being apart. Then there is the use of The Fugees’ cover of “Killing Me Softly.” It doesn’t get any more powerful than that. If Beale Street Could Talk stars KiKi Layne, Stephan James, Regina King, Colman Domingo, Teyonah Parris, Brian Tyree Henry, Michael Beach, Ed Skrein, Diego Luna, Dave Franco, and Pedro Pascal. It opens in theaters on December 14, 2018.